← tiramisu oh tiramisu! Warning: it’s addictive! 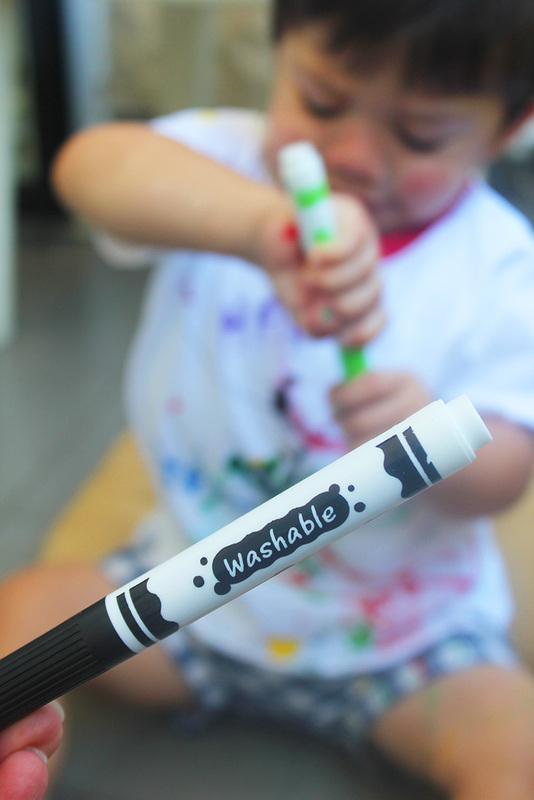 Washable colors are a perfect invention! 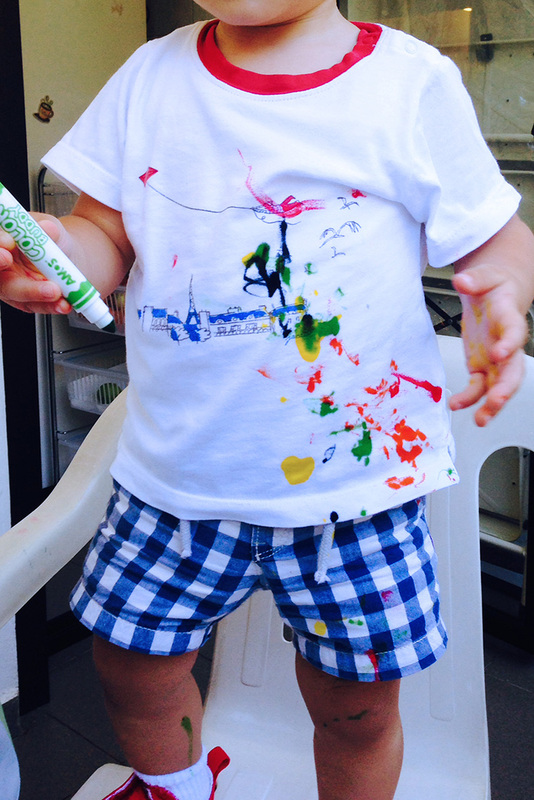 Let your child enjoy his free drawing and design his own outfit! All i had to do is a single dot on this tshirt to make him go crazy! The space was all his, for a totally free drawing everywhere! Really everywhere! 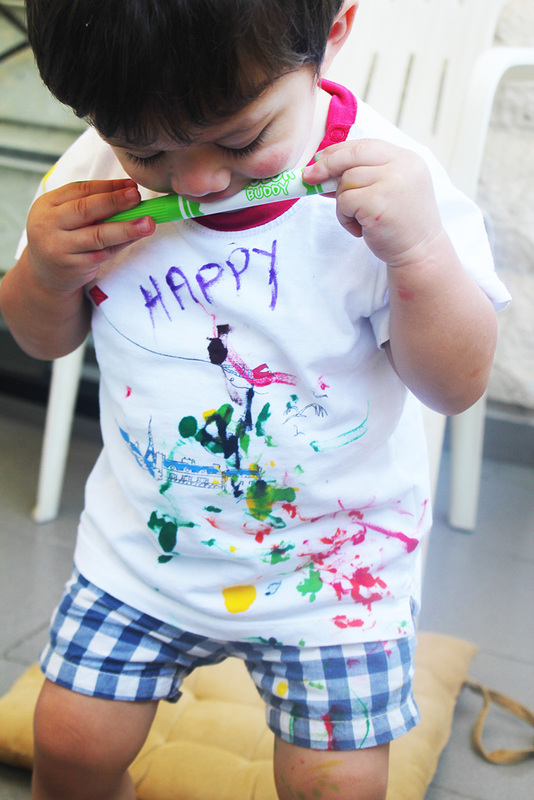 He was beyond happy, expressing his joy with colors. It’s very important to give your child from time to time a free messy play with no restrictions or rules! Of course a safe one! 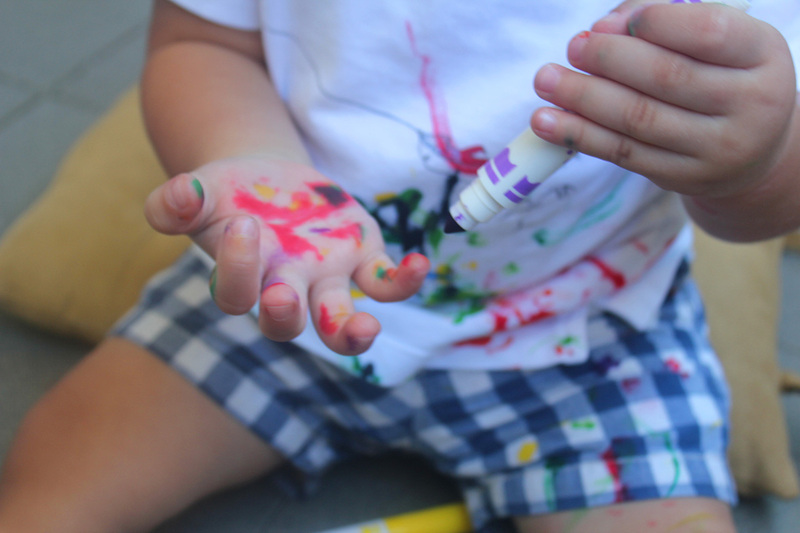 Messy play is designed with children’s natural curiosity in mind. It unleashes their creativity, builds self-confidence and self-esteem. 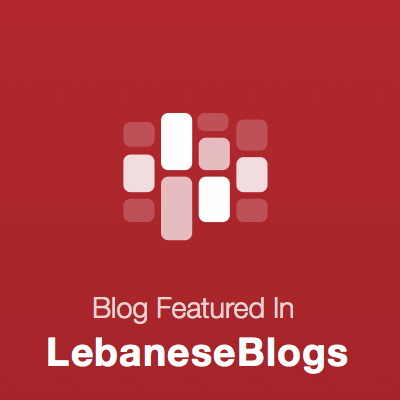 They develop concentration, problem-solving and planning. Nady was so proud of himself, and i was proud to see him leading the game! he is the boss and I was just talking to him to help boost his language skills and teach him colors! He was really happy and it made me happy as well. 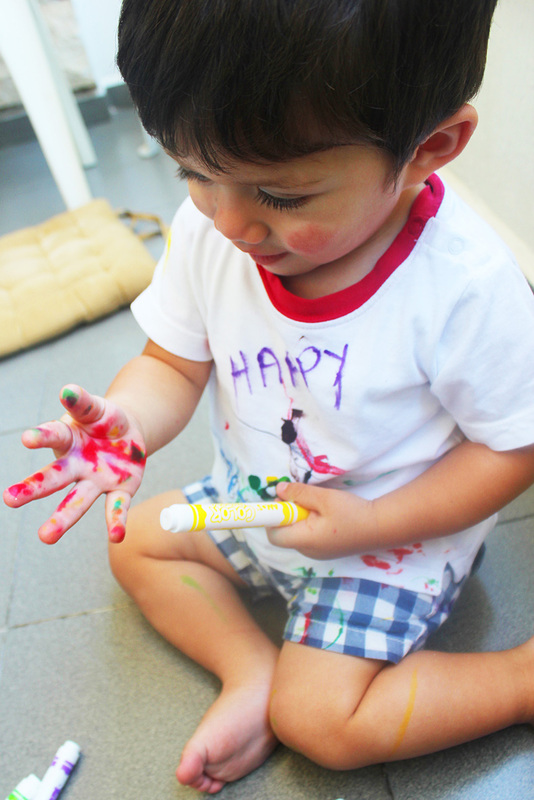 I wrote happy on his tshirt. It’s a brilliant idea, practical, safe and guilt free. Just put it in the washing machine and it will be ready for another piece of art the next day! 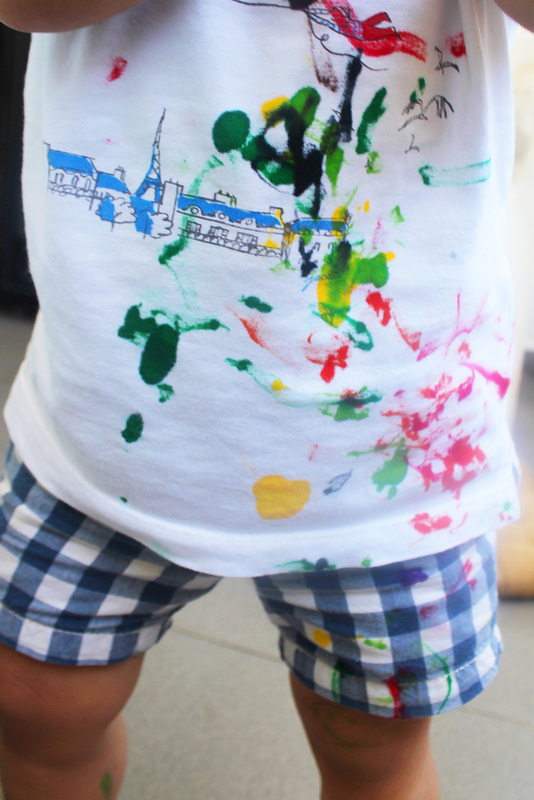 This entry was posted in DIY, way to play and tagged blog, design, marmite et ponpon, motor activity, painting, washable colors, way to play. Bookmark the permalink.